We couldn’t be more excited to be listed in Forbes annual Holiday Gift Guide. “Memphis Wood Fire Grill: My favorite outdoor cooker. I write a lot on grilling and BBQ, and over the past few years have tested several high-end backyard grills and smokers. This is the best one, and not only can do it all, but can do it all really well, a true all in one gourmet outdoor solution. It offers three distinct ways to cook everything from championship-style slow smoked brisket to flash seared steaks to baked pies. First off, pellet grills let you do traditional smoked BBQ without the time or hassle of lighting a fire and then waiting for it to settle down – there is no fussing with air vents or adding coal, just push a button and get real wood smoke at a consistent temperature. 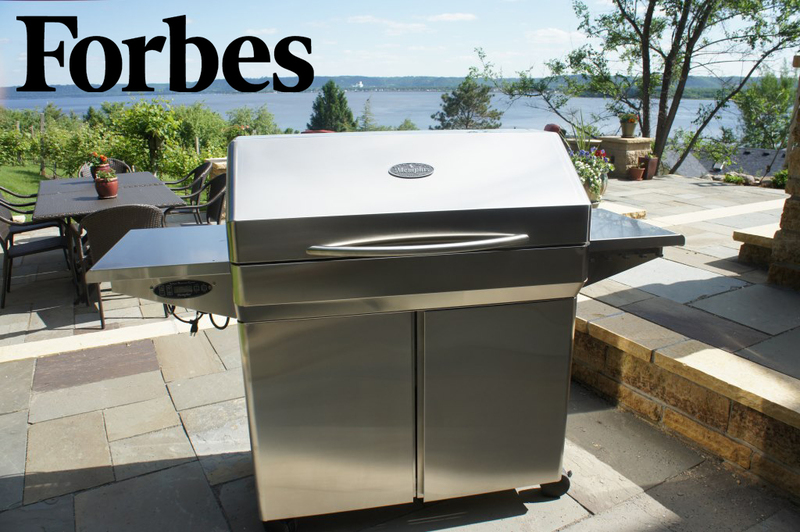 On these models, however, the same pellet firebox that uses a digital controller to hold a precise “low and slow” smoking temp of 180°-275° can grill and sear at more than 700°. But it is the addition of a dual fan convection cooking system that sets Memphis Wood Fire Grills apart from the pellet grill competition, letting you bake, roast chicken like on a rotisserie but without the moving parts, and do all the things a convection oven can do in the kitchen. It also has a unique dual hopper system, found on very few pellet grills, that lets you use two different types of wood pellets (oak, hickory, pecan, mesquite, etc.) simultaneously, creating custom smoke blends. Read the rest his great of recommendations here.